If you need a quote for installation, or just a question about French channels please use this form. The form is private , your details are secure. No names or email addresses will ever be used to spam . ADVERTISERS ! Please do NOT use this form !! to help you with the coordinates…. 7 Responses to Contact Me! we’ve just spoken about a potential installation in London. We’re moving back to the UK from Berlin, and my wife is French. It would be great to get a solution that has free French, German and UK Channels. I would recommend a new flexible system with receivers in as many rooms as required, woriking independently. The new receivers overcome the difficulty with using British or using French receivers where neither is able to give the epg ( On-Screen Whats on Guide ) for any other country. The channels from Uk, Germany and France are a very good selection and include most of the main channels from each country. Please use the Quote form. 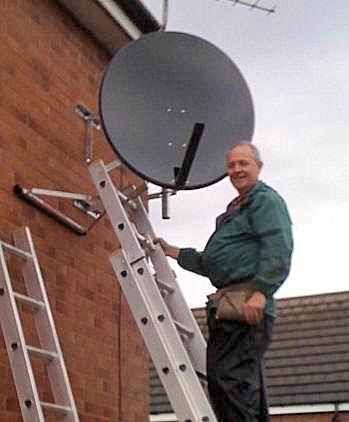 Go to http://www.satellitetveurope.co.uk home page, watch the video which shows how to get the coordinates of your house, then click on the “QuoteMe” button next to it. Fill in the coordinates and all the usual name – address – phone etc. I will check that you can receive it, before you spend anything. To assess it properly I need the map coordinates of the house or flat. Why? I can use Google maps to do the initial assessment, but I cannot always see the house numbers so the address sometimes isn’t enough. Go to the homepage of my website http://www.satellitetveurope.co.uk you’ll see the “Quote Me” button and a video. Watch the video which explains how to get the coordinates and then click the “Quote Me” button and fill in the details. I’ll email back to you very soon.